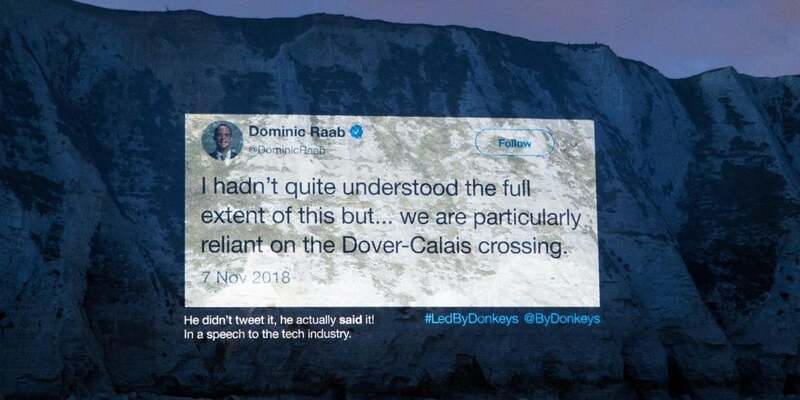 In a protest against the organisation of Brexit, a short film asking for SOS help was projected onto the White Cliffs of Dover - the UK mainland's closest point to Europe - facing France. 2019-04-3 An indicative vote on holding more indicative votes for Brexit possibilities achieves a vote of 310 Aye and 310 No, becoming the first British parliamentary vote to result in a draw in the 21st Century; Speaker John Bercow breaks the tie by voting No. 2019-04-1 The British parliament votes against four alternative Brexit plans. 2019-03-29 UK Prime Minister Theresa May suffers another defeat of 286–344 on her Withdrawal Agreement. European Council President Donald Tusk schedules an emergency summit on April 10, two days before Brexit is scheduled to happen. 2019-03-27 The UK parliament holds "indicative votes" on eight options regarding Brexit in an attempt to find an approach which can command a majority. None of the options are passed at this stage; however, a further round of voting is planned for Monday. 2019-03-23 Approximately one million Britons assemble for the People's Vote March in London, United Kingdom advocating for an additional referendum on Brexit.